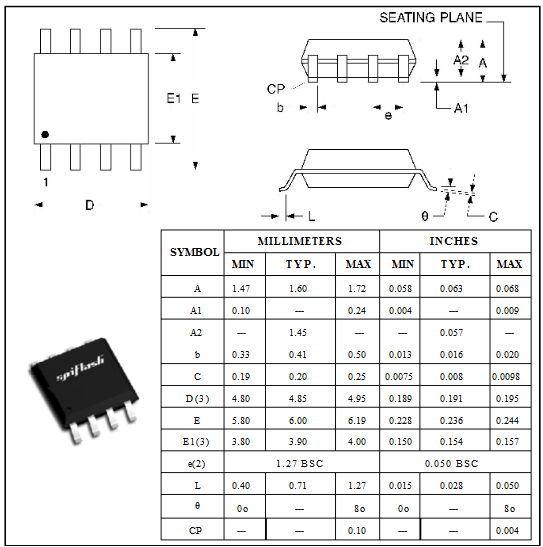 This adapter works on any programmers for standard SOIC8 to DIP8 conversion. all 24CXX series, like 24C02,24C04,24C08,24C32,24C64,24C128,24C256,24C512. all 93CXX series, like, 93C46,93C55,93C56,93C66,93C76,93C86 etc. all 25XXX series, like 25010,25020,25040 etc. all 95XXX series, like 95010,95020,95040,95080 etc. all MX25LXX05D-M1 SPI chip, such as MX25L8005D-M1, MX25L1605D-M1 etc.